The resumption of the interest of foreign investors to the hryvnia-pegged government domestic loan bonds is not yet brining risks for the country’s economy, according to members of the monetary policy committee of the National Bank of Ukraine (NBU). “Usually, the risks associated with the inflow of short-term debt capital arise from its entry into the private sector with subsequent overheating of consumer demand. As for the capital inflows mainly in government loan tools, the risks of economic vulnerability are minimized. 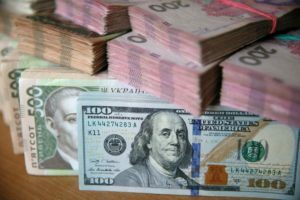 In addition, the inflow occurs in hryvnia-pegged loan tools that shifts currency risks to foreign investors,” the committee members said at a meeting, which minutes are dated January 30, 2019. The committee members also draw attention to the fact that nonresident investment in government bonds remains insignificant relative to the total amount of government bonds on the market, and does not exceed the figures of the previous year. Moreover, thanks to the inflow of capital from nonresidents, the NBU has the opportunity of increasing international reserves, that is, creating a “safety cushion” in case of a possible outflow of capital. As reported, nonresidents in January 2019, after six months of absence, resumed investments in government bonds. According to the NBU, since the beginning of the year as of February 11, the portfolio of government bonds owned by nonresidents more than doubled, to UAH 13.418 billion. At the same time, the total amount of government bonds issued by this date was UAH 758.182 billion, including the NBU owning securities for the amount of UAH 340.724 billion, banks – UAH 372.805 billion, legal entities – UAH 24.433 billion, and individuals – UAH 6.802 billion.